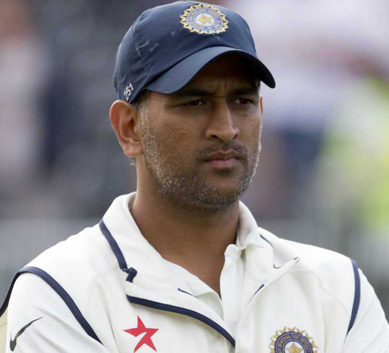 Johannesburg, Aug 15 : India cricket team captain Mahendra Singh Dhoni has defended his decision to take a day off in the run-up to the fifth and final Test against England at The Oval, saying that he felt like it. Dhoni did not train with India, 2-1 down in the five-match Test series against England with one match left to play, on Wednesday but was back at The Oval on Thursday. Dhoni said that the decision to take a day off was personal and that's why it was a day off. He added that he felt like taking a day off, and took one, Sport24 reported. The skipper said that three days before that, he was with the team and they had enough team-building activities, so he added that one day off doesn't make much of a difference. Rain forced India to train indoors on Thursday after they were beaten by an innings inside three days in the fourth Test at Old Trafford last week. India's batsmen, particularly Virat Kohli, have been found wanting in recent weeks and Dhoni said that they all have their own technique and need to have confidence in it.